Save the date! 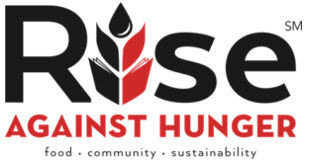 On Saturday, October 21, TBC will be participating as a congregation in the 7th annual Rise Against Hunger (formerly Stop Hunger Now) packaging event in Wilton. In previous years we packaged over 167,000 meals that were sent to Haiti. TBC was well represented by about ninety volunteers. Our goal is to package over 160,000 meals this year and raise $3500 as a Congregation that will fund 12,000 meals which will be sent to hungry children in developing countries. 2016 Stop Hunger Now Report! Our Meals Went to Haiti This Year! Thanks to lots of good work by TBC volunteers- along with the rest of the community, we packed 167,000 meals in October. These were sent to Haiti, as expected. They shipped out within a month of our event and filled well more than half of an entire ocean-going shipping container! Hurricane Matthew at the beginning of October, left approximately 750,000 in need of immediate assistance and 25,000 in critical need. This container is one of 10 going to Haiti with a total of 2.5 million meals. The meals are distributed in schools and school means hope for kids and their families. For many, the meals they get at school are the only food these kids get all day. These meals give them the energy to study and focus, and grades rise as a result. 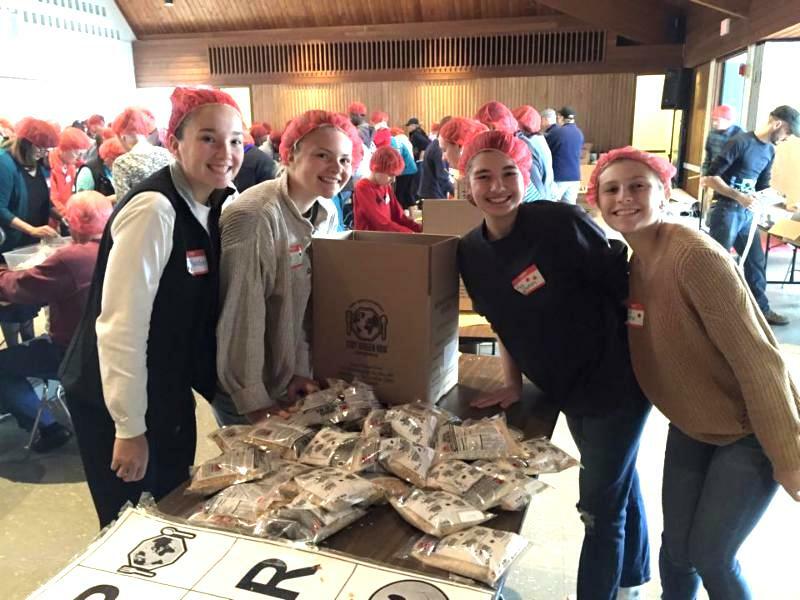 2015 Stop Hunger Now Report! Woo Hoo!! 165,000 Meals Packaged!! 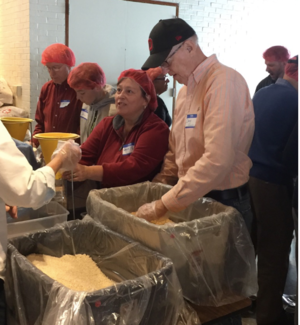 The Greater Wilton Community came together with Stop Hunger Now last Saturday, October 24, to package 165,000 meals that will feed 452 children over the next year. 750 volunteers including 90 from TBC worked together to accomplish this Tikkun Olam effort. The day was filled with fun and meaning. Thanks to all who volunteered and provided financial support. More pictures here! 2014 Stop Hunger Now Report! Wow! Last Saturday, October 25, 160,272 meals were packaged by 697 volunteers. Thanks to all who participated and provided financial support to make this possible! We had a fabulous day. 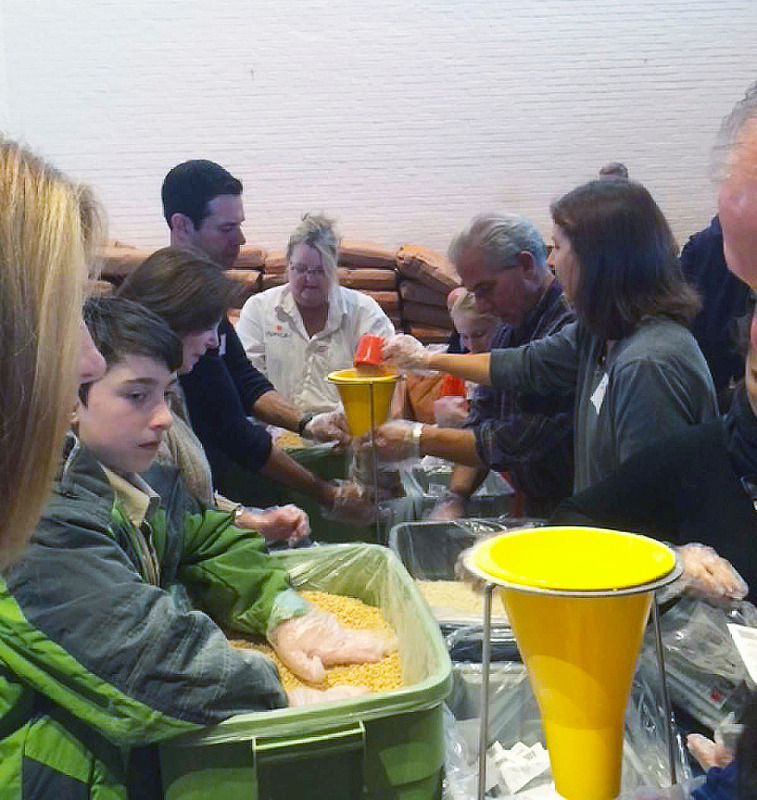 Stop Hunger Now – Wilton Interfaith Action Committee packed more than 10,000 meals over our goal. We had about 80 TBC member volunteers including Rabbi Bearman. There were about 700 volunteers in total through the day covering four shifts. More pictures here! 2013 Stop Hunger Now Report! TBC participated in the 3rd Annual Stop Hunger Now packaging event on Saturday 10/26/13, and our turn-out and contributions exceeded all expectations! We had an amazing day and packaged a total of 115,344 meals for hungry children!! This is almost 15,000 more than last year! There were approximately 600 volunteers from various Wilton faith-based organizations, along with a group of Boy Scouts who unloaded the trucks with all the supplies in the morning to get us set up. We had approximately 90 congregants from TBC, and we raised $3,000 which funded 12,000 of these meals. People who participated ranged in age from 5 to over 80, and the younger children were enthusiastic “runners” who took the meals from the “filling” stations (where all the different ingredients are combined into a package) to the “sealing” stations (where the packages are weighed to the proper amount and sealed)! We have been informed that these meals will be going to feed over 300 children for a year in El Salvador or Haiti. Click here for a wrap-up letter from the event committee. A big round of applause for everyone at TBC for enthusiastically supporting this event, both as volunteers and donors.